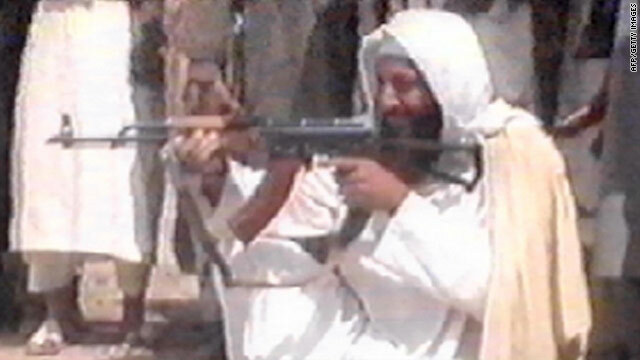 U.S. navy seals killed al Qaeda founder Osama bin Laden in a Pakistani firefight. Nearly a decade after the September 11 terrorist attacks, in a mansion in Abbottabad, Pakistan, Osama bin Laden was killed. In today's Gotta Watch, we track the hunt for bin Laden. Terrorist beginnings – Osama bin Laden was on America's radar prior to the September 11 attacks. The terrorist leader made no secret of his displeasure with the U.S. and its foreign policy. In a 1997 interview with CNN, bin Laden said the country's arrogance is the reason he was seeking a jihad against the nation. 'Wanted dead or alive' – After the attacks, President Bush was frank about his wishes. He wanted bin Laden "dead or alive." But as months turned into years, some questioned whether bin Laden would ever be killed or captured. President Bush never doubted it and, years later, in a 2009 interview, reiterated that capturing the terrorist was just a matter of time. Reaction to bin Laden's death – As news of bin Laden's death spread, Americans took to the streets to celebrate. Many gathered at Ground Zero in New York and chanted, "USA! USA!" Time for peace. Time for war. Time to cry. Time to laugh. Time marching on. http://WWW.CDBABY.COM/ALL/NUMONE bye now!